Horse riders - what's the best way of dealing with them? Even as an experienced driver, horse riders are something that I just don't come across on a regular basis, so it's hardly surprising that, as novice learner drivers, you may never actually experience horses being ridden on the road during your training. And, although you may have read up about how to deal with them for your theory test, things can quickly get out of hand in real life. I thought it would be useful to just remind you of the "best advice" for dealing with horse riders. Some of you may not realise that horses are known as "flight" animals. This means that if they get scared, they are totally unpredictable and may panic and bolt. 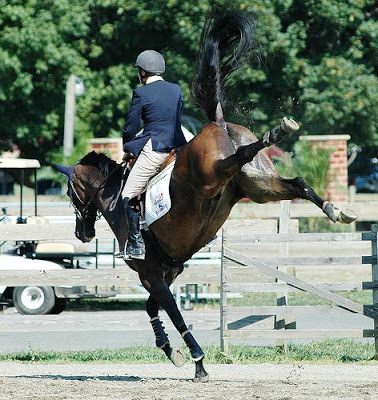 When a horse is in this mode, not even an experienced rider would be able to control it. This can have catastrophic consequences for the horse, rider, pedestrians, other vehicles and you, the driver. Be particularly careful of horse riders and horse-drawn vehicles especially when overtaking. Always pass wide and slowly. 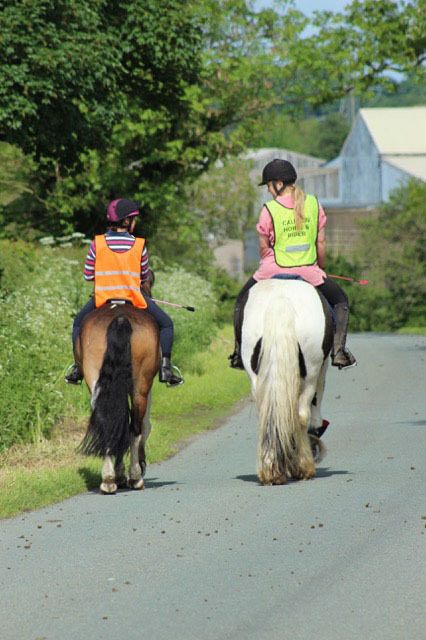 Horse riders are often children, so take extra care and remember riders may ride in double file when escorting a young or inexperienced horse or rider. 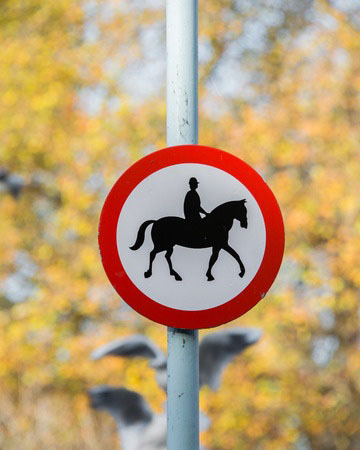 Look out for horse riders' and horse drivers' signals and heed a request to slow down or stop. Take great care and treat all horses as a potential hazard. Slow right down and be ready to stop. Give them a wide berth – at least a car's width – and pass slowly. Avoid any actions likely to spook the horse(s) – splashing them with puddles, sounding your horn or revving your engine for example. Watch out for signals from the rider to slow down or stop. Don't expect all riders to raise their hand in thanks when you drive considerately – if it's not possible to take a hand off their reins and maintain control most will smile or nod their thanks instead. Accelerate gently once you have passed the horse. Rider and horse may both be inexperienced and nervous in traffic. Unlike a cyclist or motorcyclist who will pull across to the centre of the road well before turning right, a horse and rider intending to turn right will stay on the left until they reach the turn. Horse riders will generally try to avoid difficult junctions such as roundabouts. If they do use them expect riders to keep left and signal right across exits to show that they're not leaving. Slow down and allow them plenty of room. 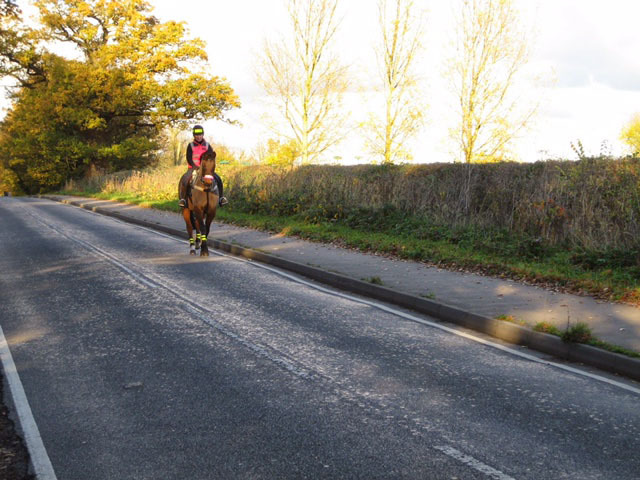 British Horse Society and THINK!’s co-produced video showing how to pass horses safely.